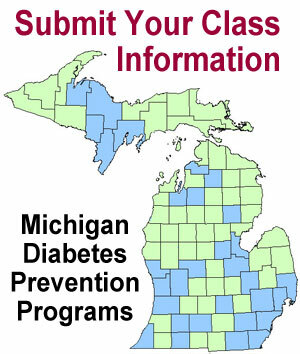 The Michigan Diabetes Prevention Network was created to support and engage partners in diabetes prevention and serve as a vehicle to share information and resources to help you as you deliver your diabetes prevention programs. All meetings at Michigan Public Health Institute Interactive Learning Center, 2436 Woodlake Circle, Okemos, MI 48864. If you have any questions or to register for the Michigan Diabetes Prevention Network, email Tamah Gustafson at info@midiabetesprevention.org. Registering will ensure you have the most up-to-date network information including news, resources and meeting invitations. Is your organization interested in investing in the Diabetes Prevention Program (DPP) for your employees or members, but don’t know where to start? Then this webinar is for you! Topics include: models for covering the DPP, how to set up your reimbursement structure, as well as how your coverage model can be aligned with Medicare DPP. Employers and health plans have a unique opportunity to invest in the Diabetes Prevention Program (DPP). The DPP focuses on participants choosing healthier foods, being more physically active and losing weight –which have been proven to reduce risk in individuals with prediabetes by 58 percent! This webinar will cover everything an employer or health plan needs to know to get started with the DPP within their own organization. If you want to share something from your organization with everyone, let us know. If you have suggestions for resources you would like us to share, let us know that too! For more information contact Tamah Gustafson at info@midiabetesprevention.org.